Finals have concluded, and students, faculty and staff have begun to depart UCI for winter recess. As I look out at our unusually quiet campus, it’s a time to reflect on all the tremendous Anteater achievements of 2016. In many ways, this has been a year of landmark change. UCI started 2016 with a new strategic plan to usher us into a new era of excellence, focused on expanding our reach into the community, enhancing the academic experience, and furthering our impact on the world to improve lives in meaningful ways. We obtained record-breaking philanthropic and research funding, added several structures to the campus landscape, hired phenomenal faculty and staff leaders, and even had a little fun telling people UCI was finally a football school when the L.A. Rams came to campus for summer training camp. Just this week, we learned that UCI received more than 102,000 applications – an all-time high – from bright students who hope to join the Anteater family next fall. UCI received the second-most applications in the UC system from California-resident freshmen, a sound reminder that our campus is a top choice for students from all backgrounds. Transfer applications will be accepted until Jan. 3, so we’re sure the total will continue to soar. UCI attracts the best students who want to use their education to solve big problems and compassionately help people. 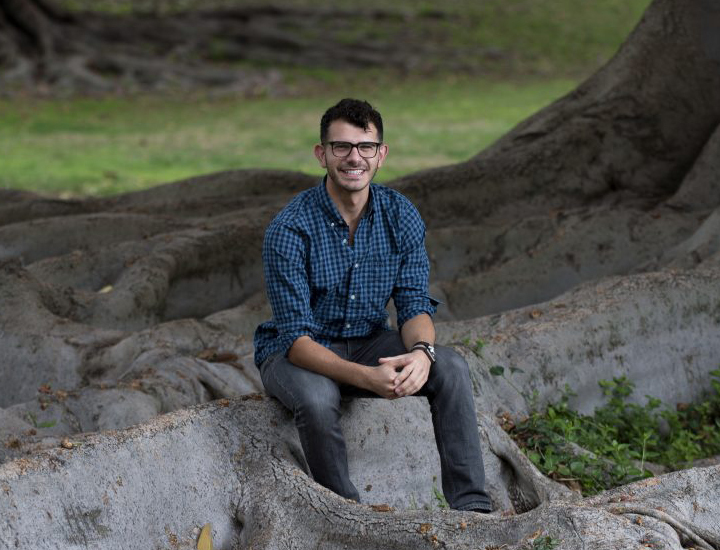 Andrew Hallak, an international studies major and UCI’s current XIV Dalai Lama Scholar, is doing just that through his Global Partners for Sustainability project. By leveraging the UCI Sustainability Initiative and Global Sustainability Resource Center, he aims to teach others how economic, ecological and cultural factors influence environmental challenges and to encourage personal practices that combat climate change. 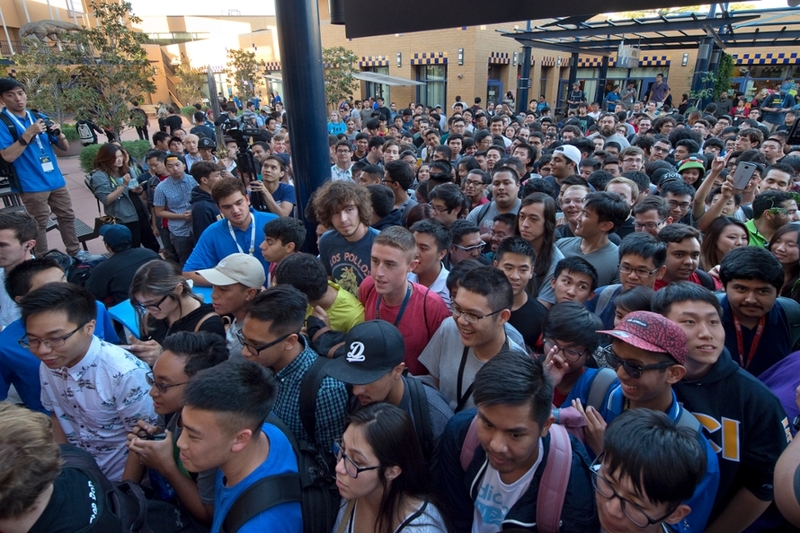 In addition to hosting events on campus, Andrew plans to encourage students to study these challenges in other countries with renowned UCI experts. You can learn more about his project here. UCI was founded on the principle that collaboration among disciplines coupled with the international exchange of ideas would lead to innovation and discovery in unimagined ways. 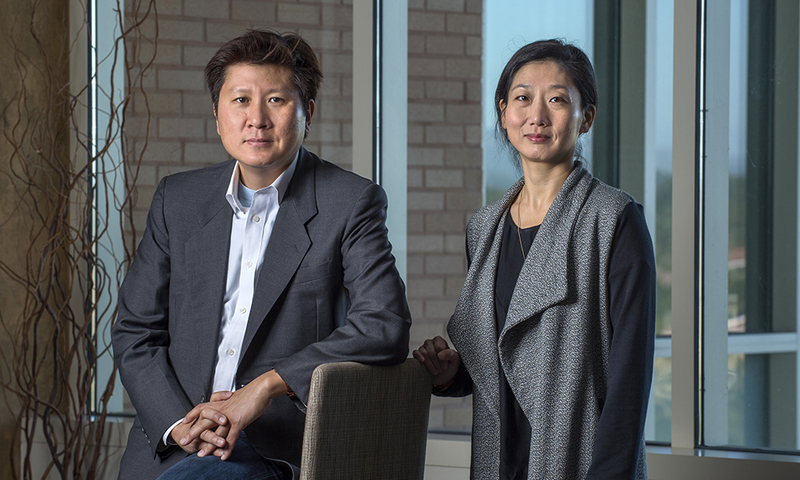 Drawing upon this ideal and an increased interest in contemporary Korean culture and society, UCI is launching the Center for Critical Korean Studies. Led by Kyung Hyun Kim, professor of East Asian languages & literatures, researchers there will promote reading and writing in Korean, analyze Korea’s relationships in the Pacific Rim, and seek a deeper historical understanding of the country. This center is a prime example of UCI’s continued success in forging pathways for meaningful global engagement that build on our campus’s longstanding contributions to the study of East Asian and Pacific nations. The Anteater Learning Pavilion will feature an elliptical, two-story structure containing stacked lecture halls, as shown in this architectural rendering, and a three-story edifice with classrooms, offices and mingling space. A central pillar of our strategic plan is to foster excellence in teaching and learning. I’m thrilled to announce that this commitment to cutting-edge academics will be exemplified in a new, high-tech classroom facility known as the Anteater Learning Pavilion. Set to open in spring 2018, the structure will serve our rapidly growing student population and encourage a culture of collaboration across campus through its modern design. The Anteater Learning Pavilion will feature state-of-the-art lecture halls, informal conference rooms, and flexible work and study spaces – all equipped with an array of audiovisual components and the latest technological advances to seamlessly promote active and participatory learning. This project has been a long-held vision of many individuals and will put UCI at the forefront of innovation in academics. I am confident this addition to the campus will impact the educational experiences of Anteaters for decades to come. UCI pediatric researchers are leaders in their fields who are transforming the way we understand health and childhood development. The campus is proud to be part of a National Institutes of Health initiative to study the benefits of physical activity on a child’s health. Shlomit Radom-Aizik, executive director of UCI’s Pediatric Exercise & Genomics Research Center, and Dr. Dan Cooper, PERC’s founding director, will lead a clinical center in the Molecular Transducers of Physical Activity in Humans program, studying molecular changes that occur in the body in response to exercise. The UCI team will receive $4.5 million for the project. Dr. Cooper said that the research will provide valuable information to help doctors prescribe the best form and amount of exercise to benefit each child and could eventually help patients battling chronic diseases or conditions. UCI researchers would not be able to do their incredible work without the philanthropy of our generous partners. I’m happy to share that Gavin and Ninetta Herbert have committed to continue their support of improving eye health with a $5 million estate pledge to UC Irvine Health’s Gavin Herbert Eye Institute. Their gift will expand research on the retina, an important part of the eye associated with debilitating conditions such as glaucoma, diabetic retinopathy and retinal detachment. 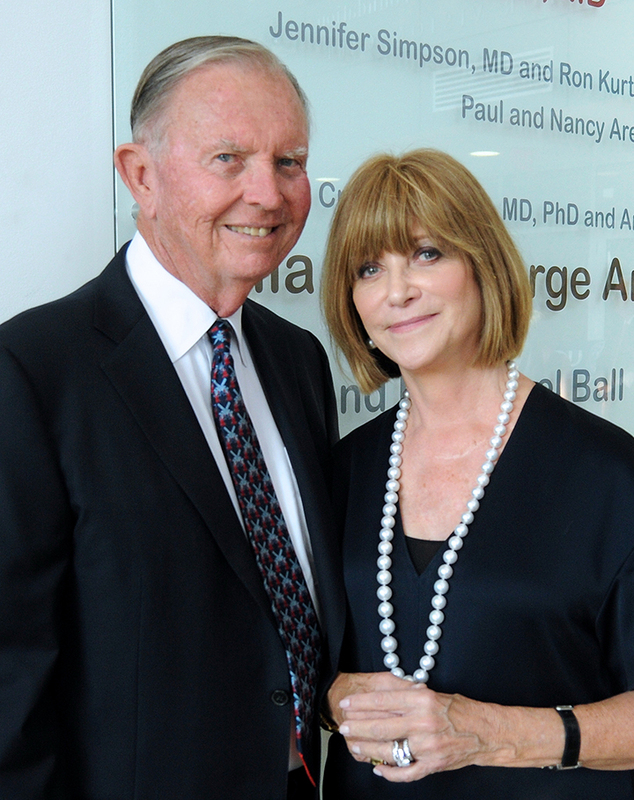 The couple have been longtime champions of the eye institute named in his honor and worked with local ophthalmology companies to fund construction of the $39 million, world-class facility. Please join me in extending our gratitude to the Herberts for their visionary gift that will bolster research efforts and provide high-quality care for so many suffering from eye-related health problems. Recently, nine of our lauded faculty members were elected to the prestigious American Association for the Advancement of Science, which recognizes individuals for exceptional contributions to their fields and for influencing and changing the way we understand the world. It’s the highest number of new AAAS fellows at any UC campus this year. Our honorees are Tom Boellstorff, professor of anthropology; Jonathan L. Feng, professor of physics & astronomy; David A. Fruman, professor of molecular biology & biochemistry; Ramesh C. Jain, Donald Bren Professor of Computer Science; Elizabeth Loftus, Distinguished Professor of psychology & social behavior and criminology, law & society; William M. Maurer, dean of the School of Social Sciences and professor of anthropology and law; Hal S. Stern, Ted & Janice Smith Family Foundation Dean of the Donald Bren School of Information & Computer Sciences; Shiou-Chuan “Sheryl” Tsai, professor of molecular biology & biochemistry; and Gene Tsudik, Chancellor’s Professor of computer science and vice chair of graduate studies in computer science. They bring the total number of UCI AAAS fellows to 150. UCI is fortunate to have an outstanding group of alumni who are making their mark by fostering the success of others. One example is Eloy Oakley ’96, MBA ’99, chancellor of California Community Colleges. Chancellor Oakley was the first in his family to graduate from college and the first Latino and only UC regent to lead a community college. After high school, he served in the U.S. Army and then enrolled in a community college before transferring to UCI. His time at UCI inspired him to build a career helping other first-generation, nontraditional college students reach their goals. He has proven to be a dedicated mentor and advocate for students, empowering them to attain a college degree and transform their lives for the better. Another example is Bobby Barzi ’94, founder of a clothing company that promotes father-child bonding. His business, fodada, hosts such events as science camps, hiking excursions and robot building workshops. Each activity aims to include educational, physical activity and service components to instill positive experiences in family culture and enhance supportive father-child dynamics. You can learn more about Bobby and his company here. As we retreat for the holidays, I hope each of you will relish this wonderful season and take time to celebrate the blessings in your life with family and friends – and rededicate yourselves to improving the world and lighting the way to a brighter future. I am overcome with pride and truly humbled by the brilliance, passion and goodwill of the Anteater community and look forward to a remarkable 2017. Happy holidays and warm wishes for a healthy and enlightening new year!